The Doctor arrives in the ruined city of Arcopolis. His mission is to find a weapon. The weapon is called the Fortress and lies at the heart of Arcopolis. 15 years ago the Fortress destroyed all life in Arcopolis. Or did it? The Doctor soon discovers that he is not the only one after the weapon, so are the Eyeless. This book is the first Doctor Who book published during the new run not to feature the current TV companion. The reason was because there was not one. Wind back to early 2009; the show is off the air at the moment and we are waiting for the last days of the Tenth Doctor. So to fill the gaps BBC Books decide to publish a series of stories similar to the formula we will see with the next few stories, The Doctor with one off companions. Eyeless was the first of this range and interestingly, the only one not to feature a creature from the show’s past. 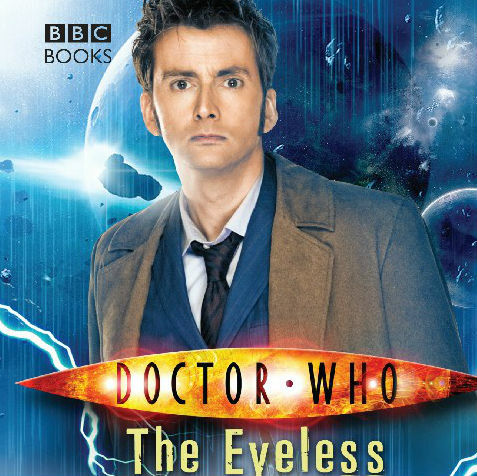 The Eyeless feels very like an old fashioned Doctor Who story. The Doctor arrives and discovers a planet in disarray and sets about fixing it. Indeed the idea of the Fortress is quite like the Castle from State of Decay (1980). Interestingly, Alsa, the one off companion of the piece is not very nice. Her moaning and wanting to break free of the system are understandable but she does still do rather unforgivable things such as siding with the Eyeless and trying to kill The Doctor. This is my main complaint with the book, Alsa’s character motivation is not made clear and we are not sure whether she is a victim or the villain of the piece. The Eyeless are great monsters; they are a collective of several different monsters added together to make one type of mega monster. They have the appearance of the Clockwork droids who stalked Madame Du Pompadour. (Girl in The Fireplace, 2006) They have the collective conciseness of the Autons. (Various stories 1970-2010 They use energy weapons similar to the Daleks (You don’t need any help here do you?) and have the same relationship with emotion as the Cybermen do. (Again, you don’t need any help here do you?) The Eyeless are great monsters but they don’t do much in the book. I feel that these creatures have more potential than is used in this story. Really, they deserve a sequel. Parkin gives us a fantastic description of The Fortress. It is obvious he is a wordsmith of the highest order as the quotation below tells us about the vast emptiness of the Fortress, the bleak and almost blandness of the metal body that houses the weapon. It also foreshadows the inner struggle that The Doctor has with destroying the weapon and also questions why he has come here, (which disappointedly is never properly answered) . Right at the heart of it – and it seemed impossibly far away, now – was the chamber where the weapon was housed, waiting. The weapon chamber was a rough blip halfway down the central column, a pyramid pulled out of shape by the thick tangle of lines and cables. The Doctor could clearly make out a single long, straight walkway leading from the outer walls straight to the weapon chamber. That was about ten storeys above him, and the Doctor suspected it would be most heavily defended route into the place. The comm was telling him there was a lift in the central column that would take him there. The Eyeless is an interesting book, which deals with morality and how to mend a society broken by disaster. It also shows that The Doctor does not always work best alone and as Donna said in DWM “You need someone to keep you going.” And I think she was right.